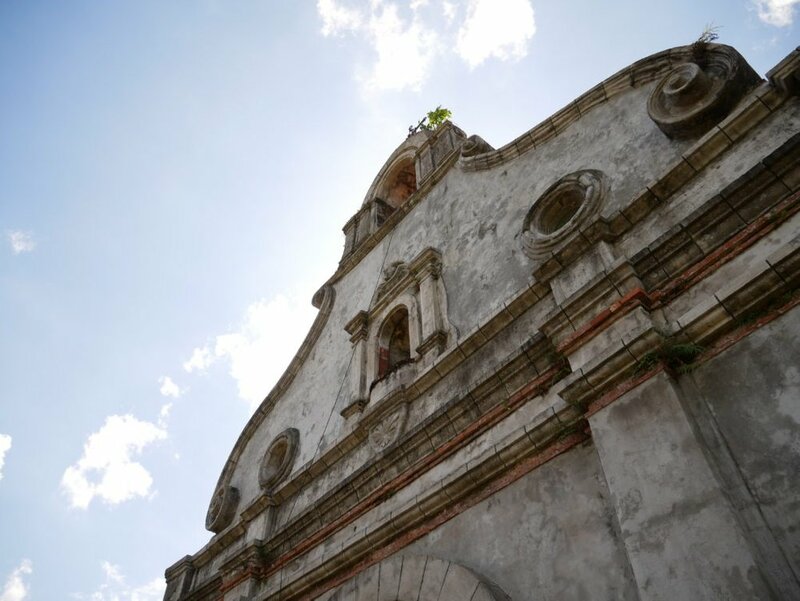 Last time we visited the beautiful Lilio Church in Liliw Laguna, Philippines. Thank you very much for all the support to those who loved the tour. 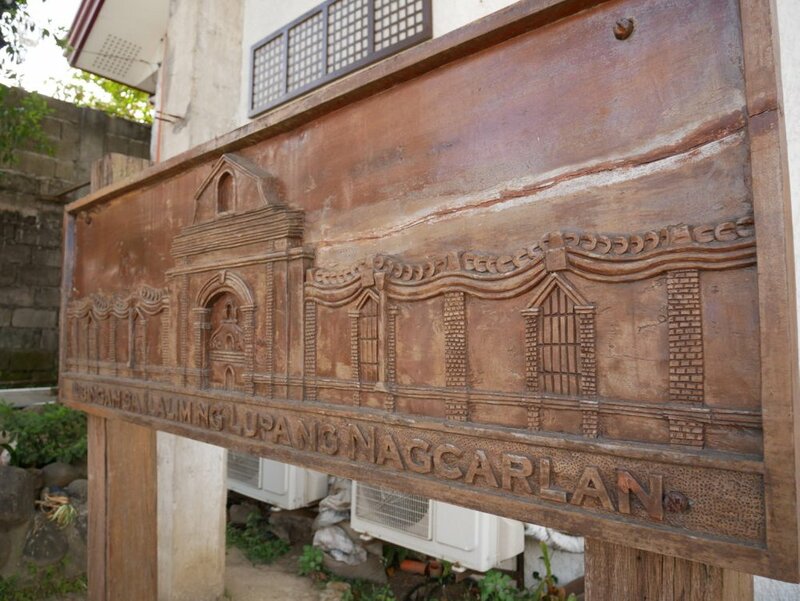 Today on our next stop I will take you with me on a tour to one of the most historical sites in the town of Nagcarlan which is also located in the province Laguna. 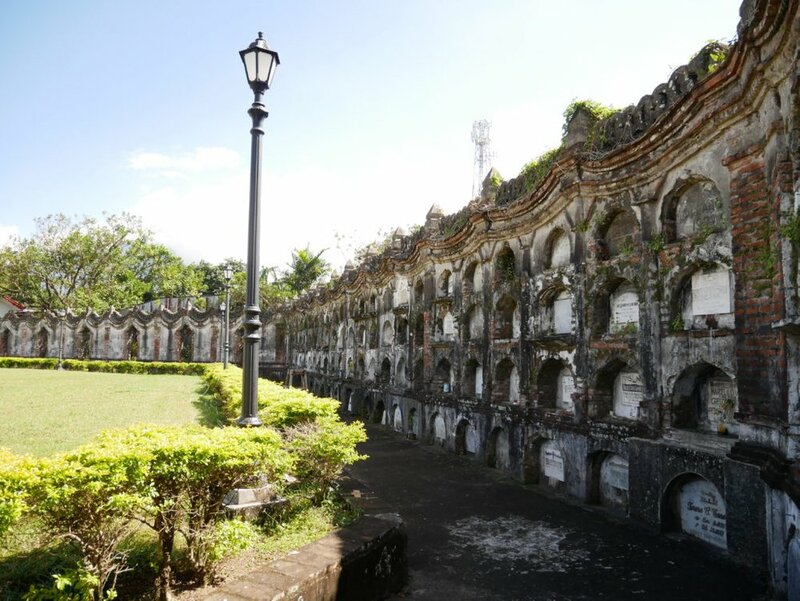 A unique cemetery that is rich with history and declared as a National Historical site in the Philippines. 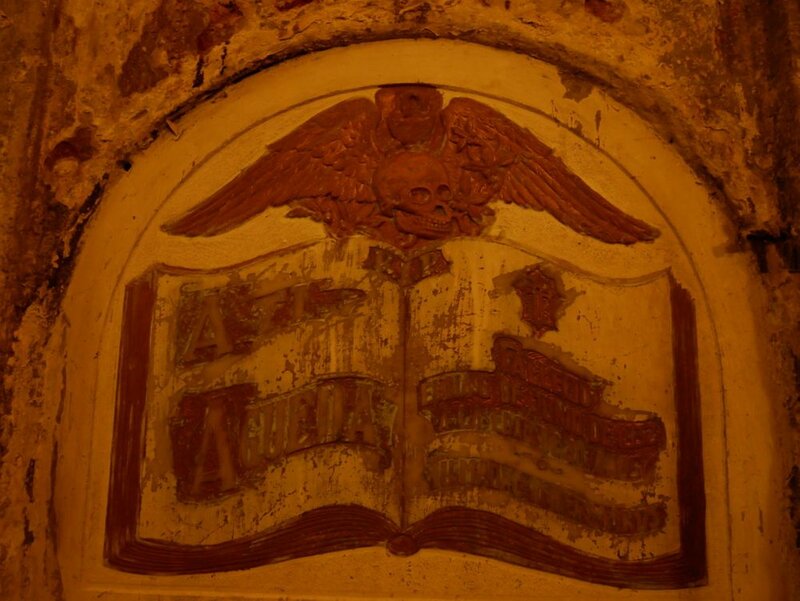 Join me today as we explore this site and see the crypts where the sun does not shine. I have heard about this place for years now, but never got a chance to visit. 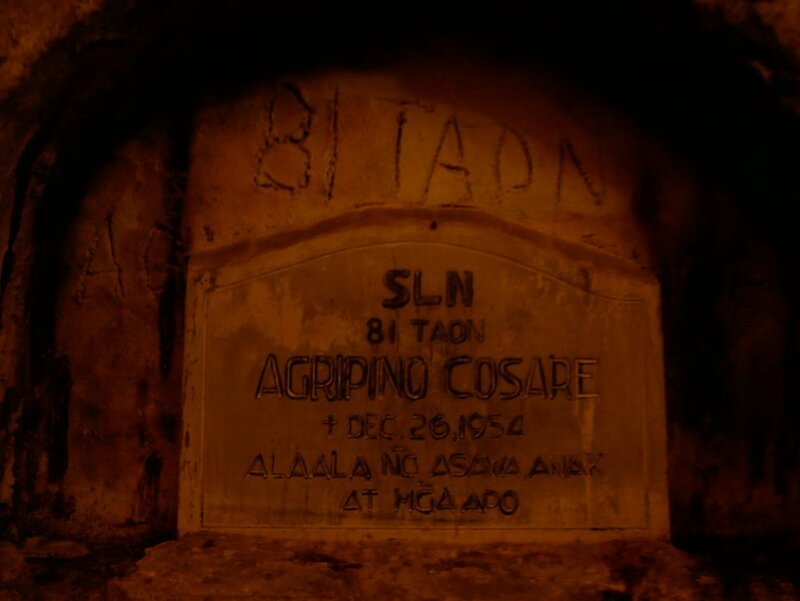 Hearing about a cemetery underground is very intriguing and I could only imagine how old the tomb could be. 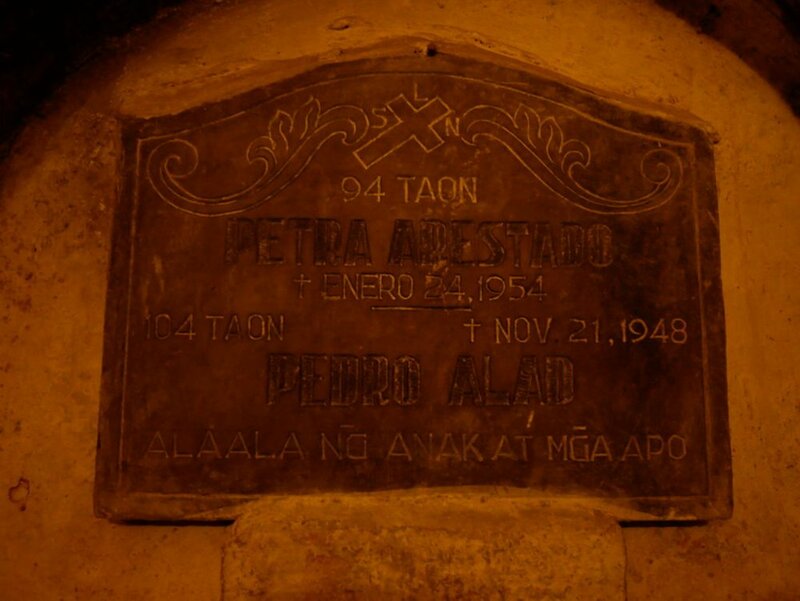 We finally got the chance to visit and see for myself what the cemetery looks like. We finally arrived past noon and the sun was high. Parking was available for the visitors just outside the site and the entrance is free. Also the security personnel who assisted us in parking was very friendly and helpful. 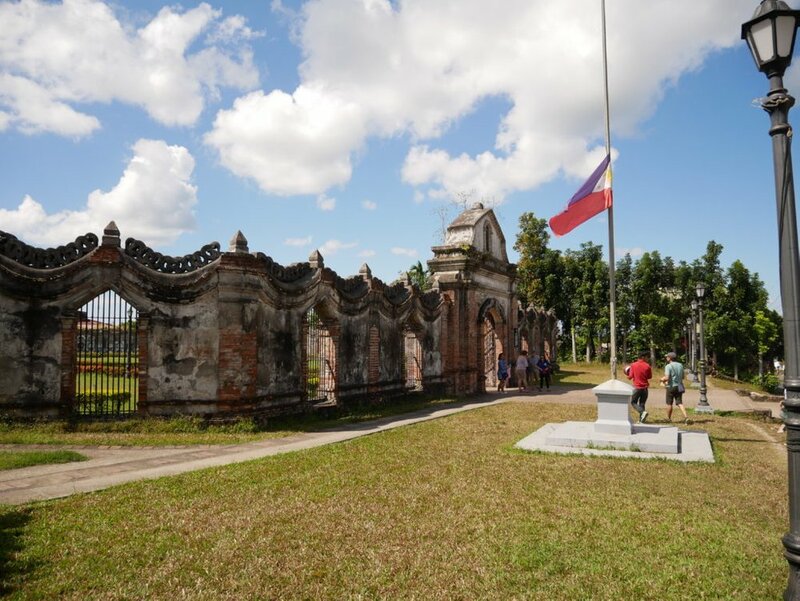 As you notice, the Philippine flag is at half mast which is a sign of respect and mourning. This is also practiced in a lot of countries. It was hot and humid, so we wanted to go inside as soon as possible. 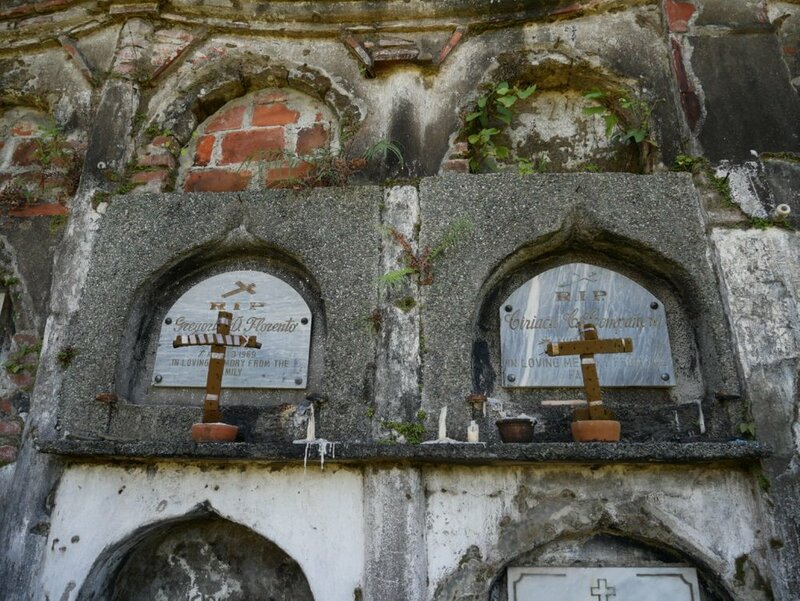 This cemetery was established in 1845 by the Spanish to serve as a cemetery for the locals, but the underground crypt was reserved for the Spanish friars and important people of the town. 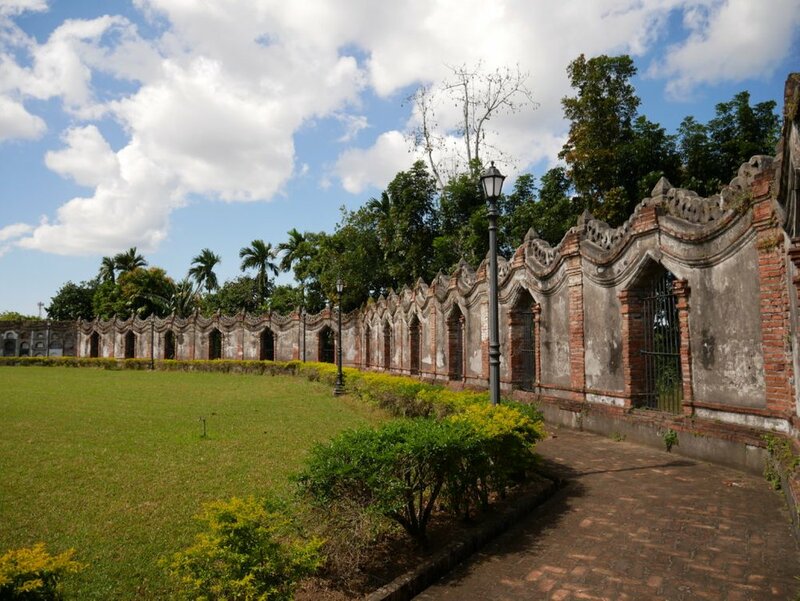 The cemetery is octagonal in shape made from stone walls, red bricks and iron grills. The entrance felt like it was a gateway back thru time. 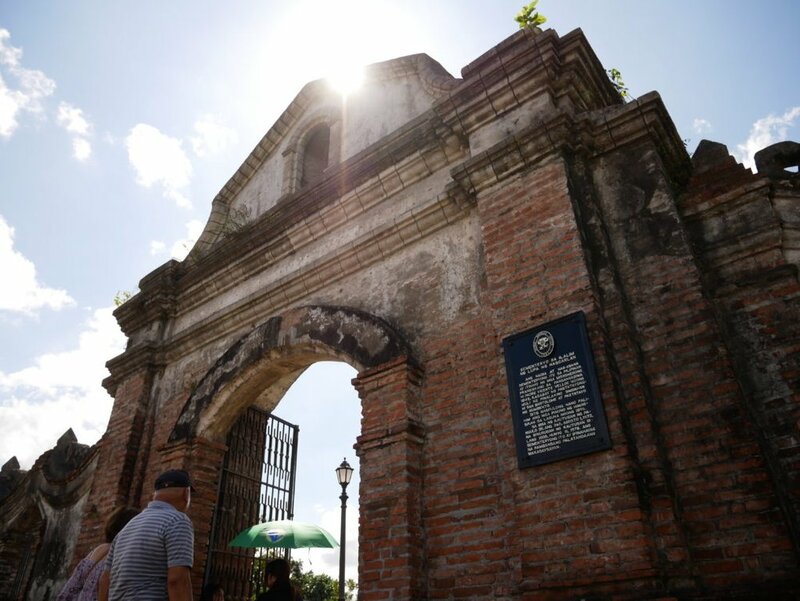 Imagine, all the people who passed thru these gates to take their loved ones to their final resting place. People wearing old traditional attire in a funeral procession and their deceased on a horse drawn cart. 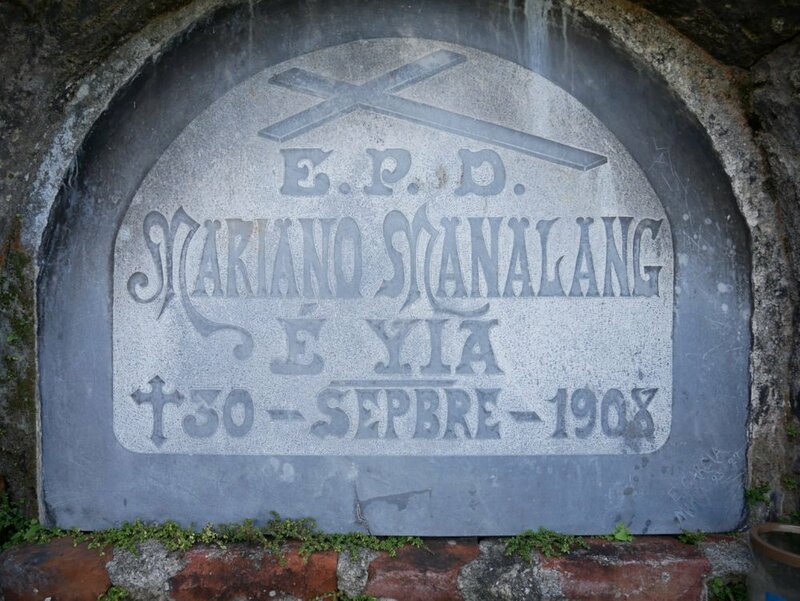 The pathway is paved with red tiles which leads to a chapel that houses the underground cemetery. 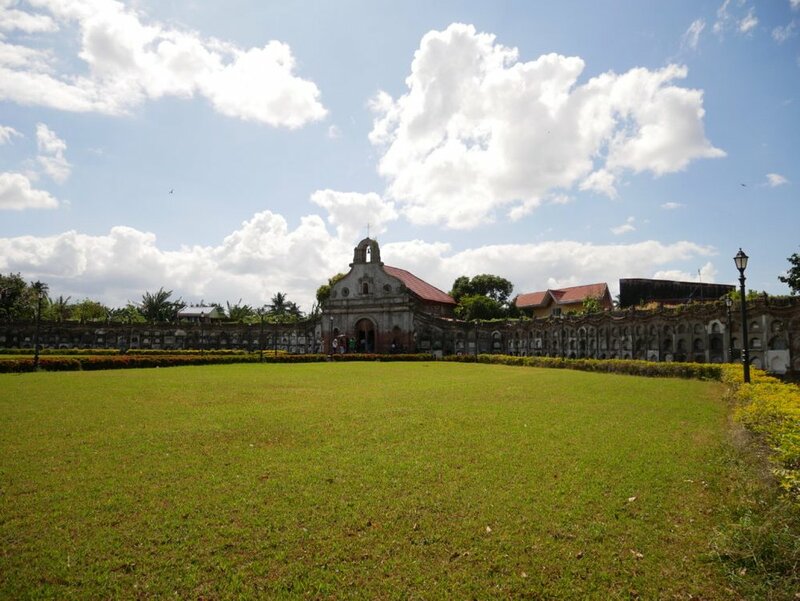 The wide open space inside is carpeted with well kept green grass and red flowers called Santan. Instead of walking thru the middle pathway. 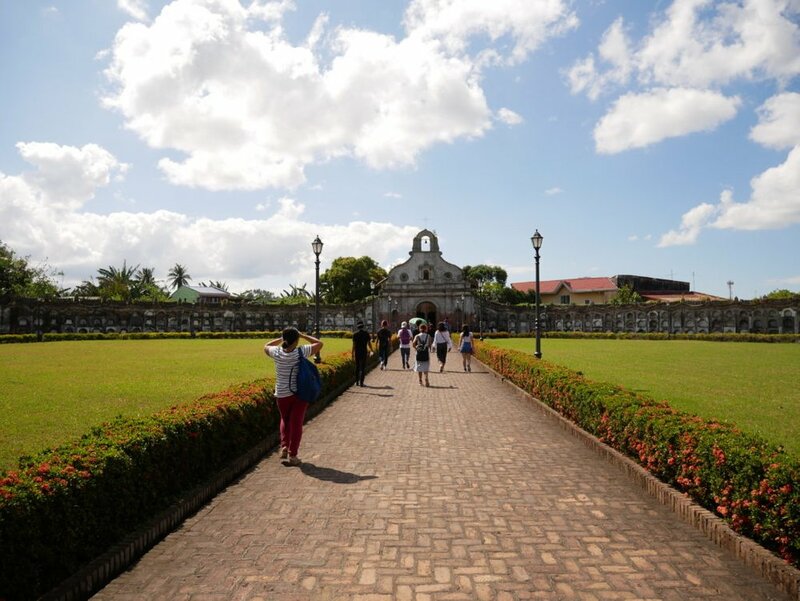 I decided to walk on the pathway on the right side that leads to the chapel. 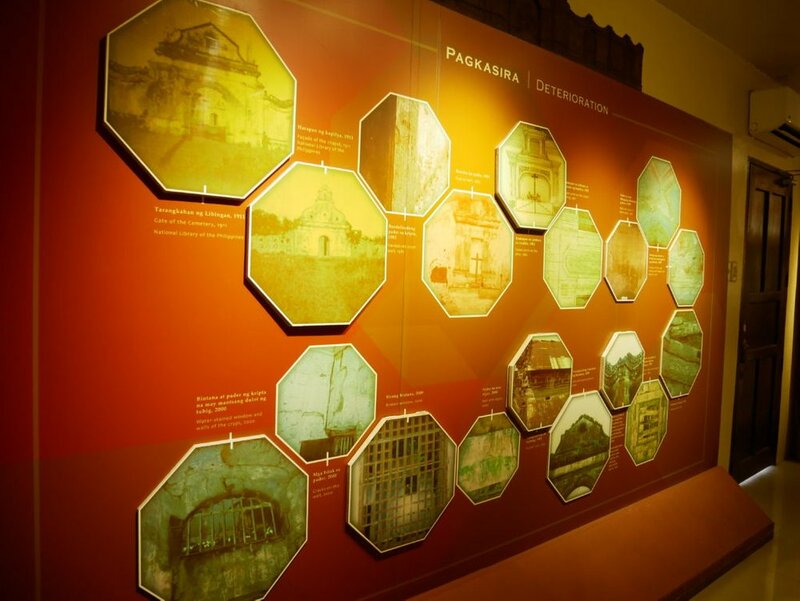 The walls were beautifully designed with steel bars on each wall. 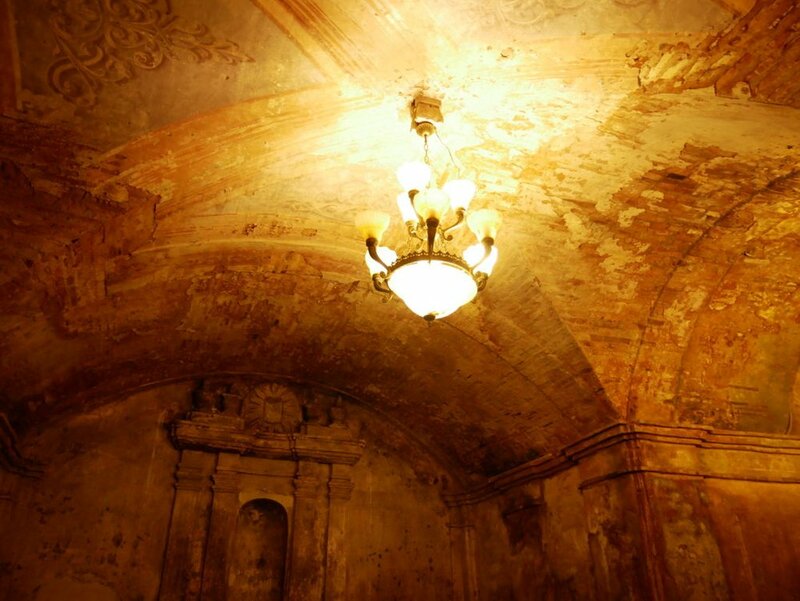 The place has underwent a couple of renovations, but still the ambiance still feels very ancient. 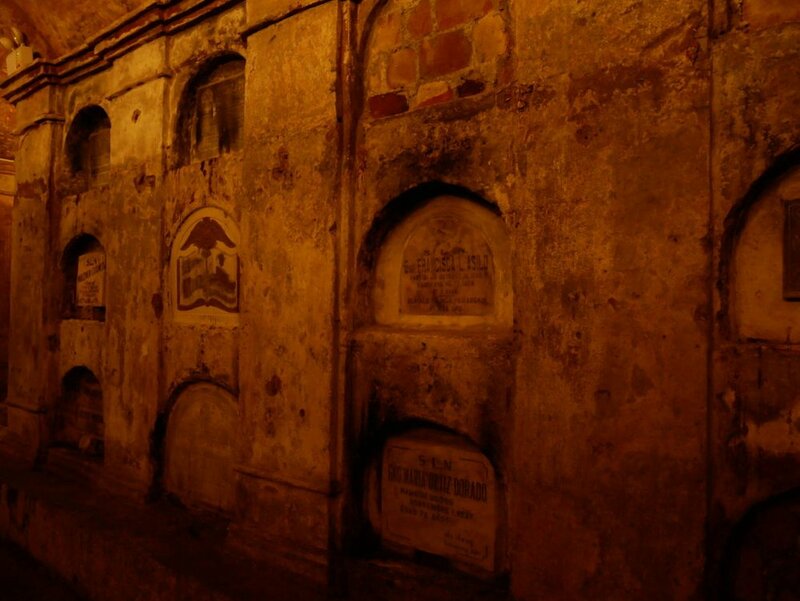 On the walls are 240 niche tombs where people from different walks of life are buried. 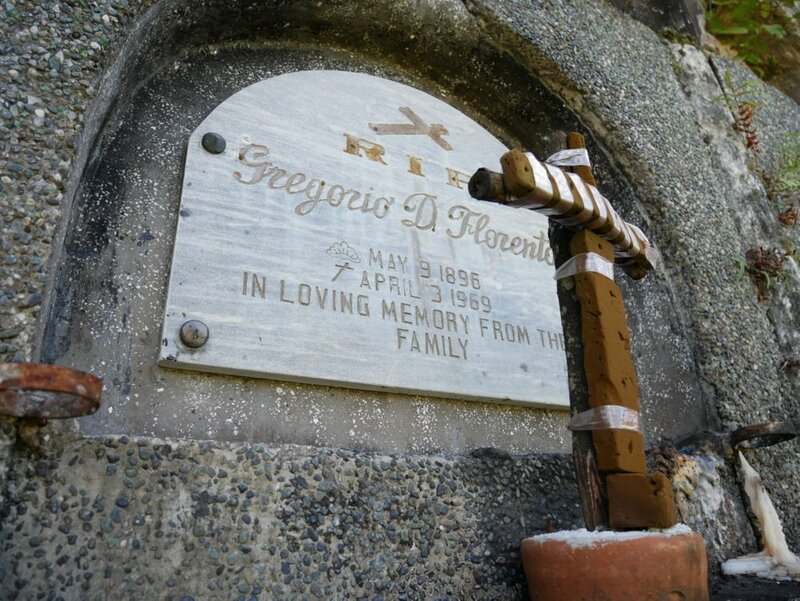 This type of burial is very common in our country and this type can be found in almost every cemetery in our country. 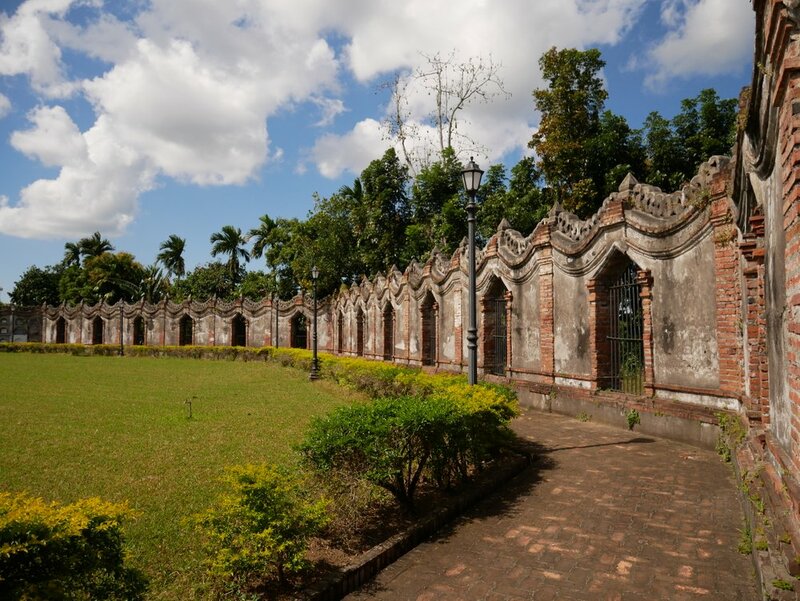 It is also known that this cemetery was a meeting place by the leaders during the revolution in 1896. 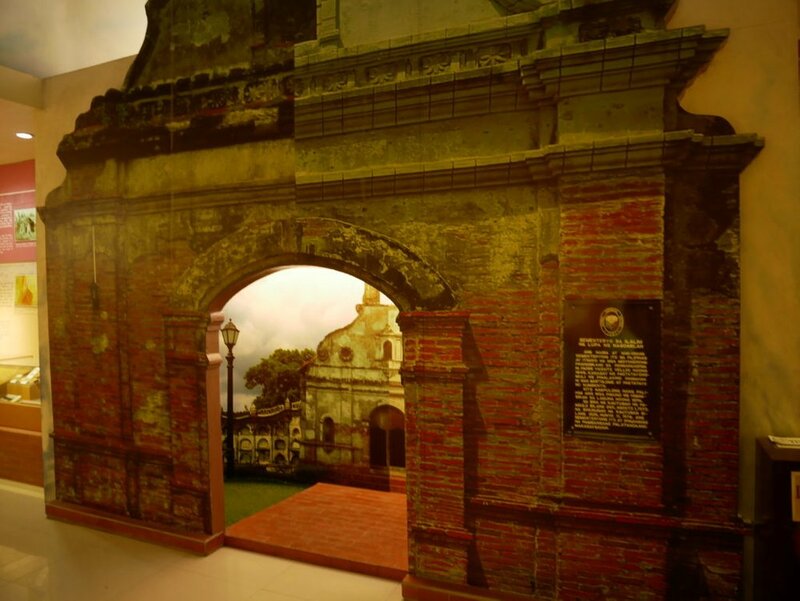 During this time Philippines was fighting for independence from Spain. 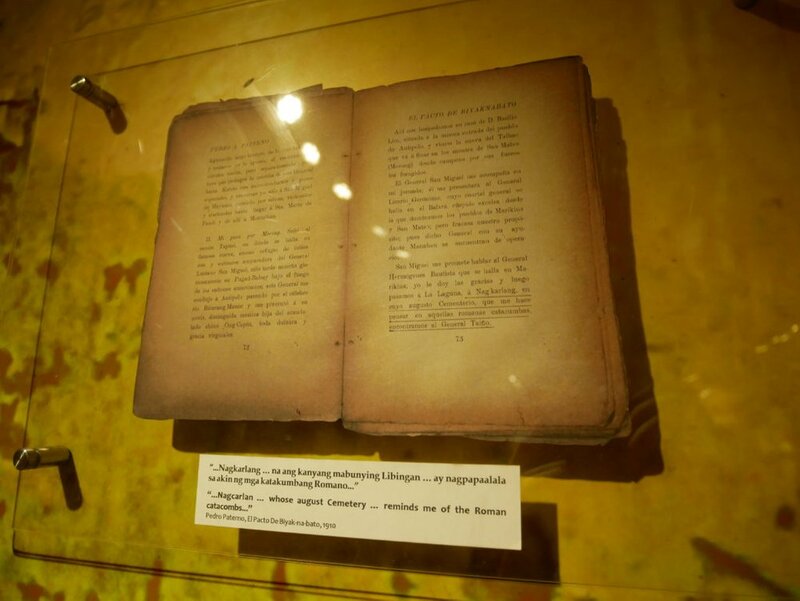 The meeting is called the Pact of Biak na Bato which is suppose to end the revolution. It involved monetary payment of Spain due to the damages by war, amnesty to the rebels and supposedly the leaders of the revolution was to go on exile. In the end, all did not go well and war continued. 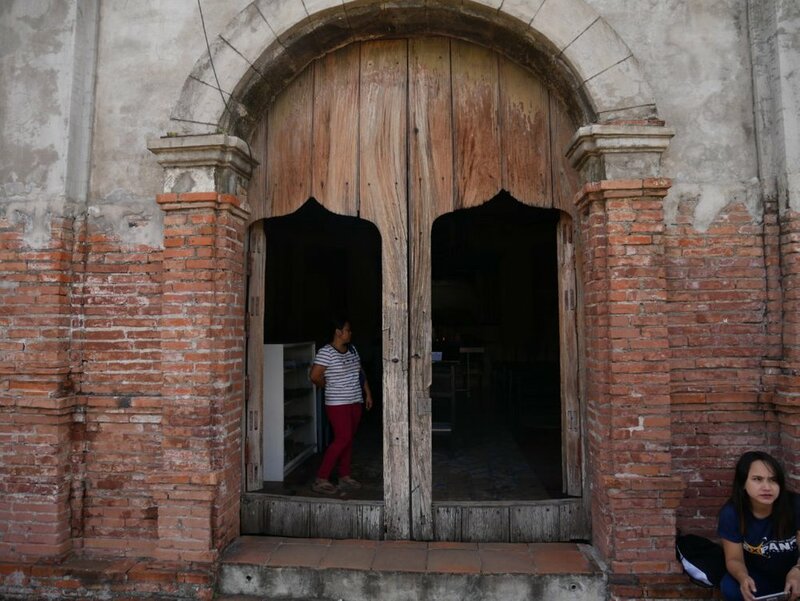 The doors that leads to the chapel is very old and possibly could still be the original from the 1800s. 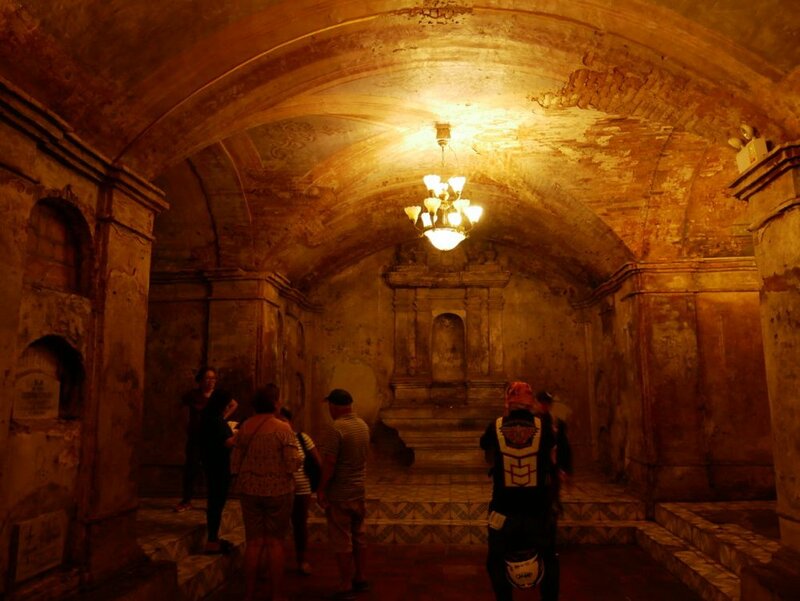 Fifteen feet below the chapel is where the underground cemetery is located. Before going down below, I was expecting a very long corridor like the catacombs. 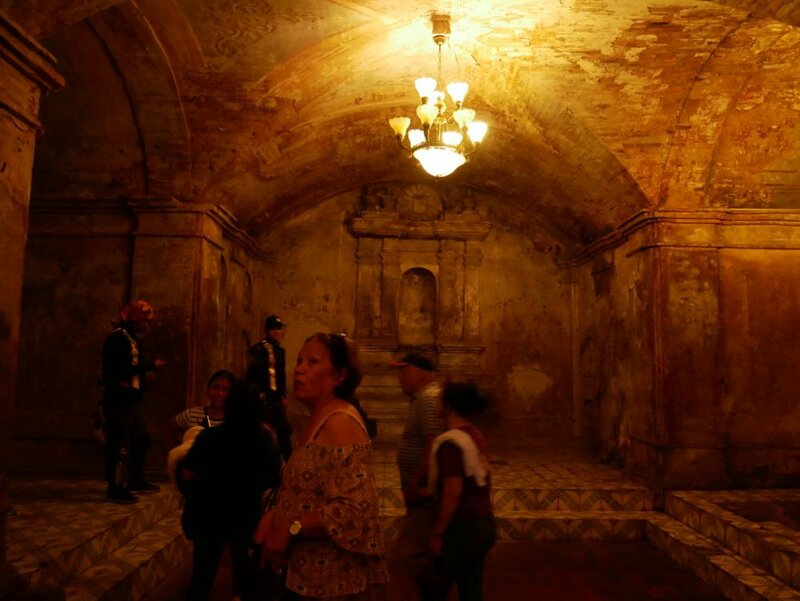 To my surprise, it was a cavern that houses only 36 tombs, still it was very interesting. The lights from the chandeliers were very dim and I felt like I was on a set of a horror movie. 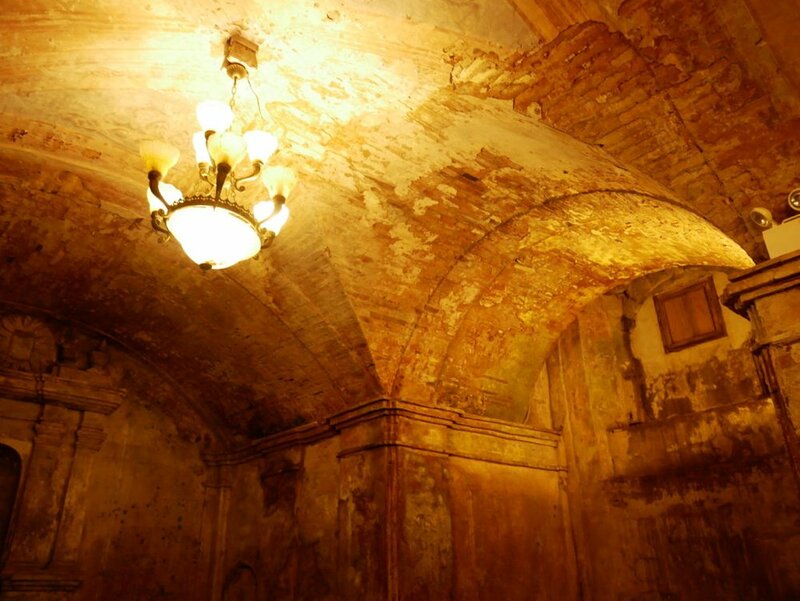 The walls and ceilings were very old with worn out plaster exposing the red bricks. The place was very well preserved and I would say very creepy if the lights were out. 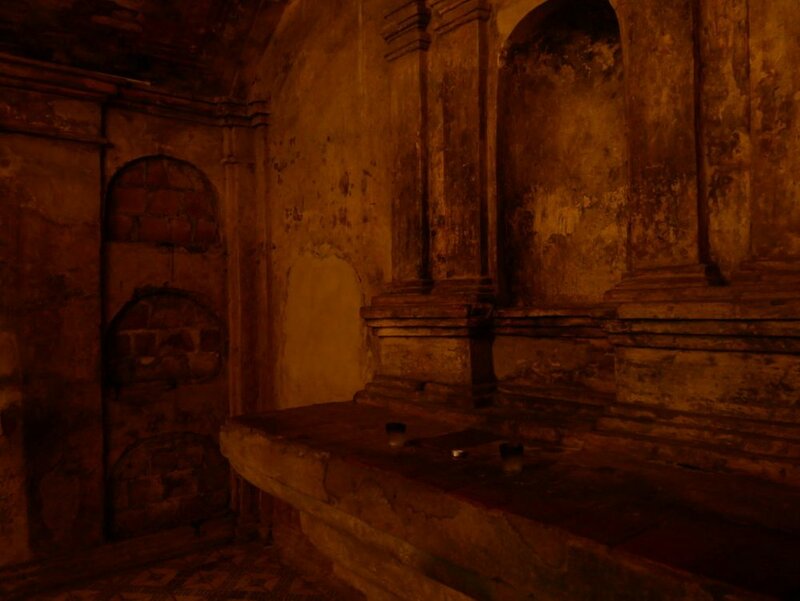 Aside from the lighting, it feels like nothing was touched in this crypt and time was left alone to do its part. Low light photography is not a strong point of my camera. It would be very hard to do a long exposure hand held without a tripod. As mentioned earlier, this area is only meant for the Spanish friars and the influential families in the town. Still in the end we will all turn into dust and being buried here wouldn't matter. Some would even be forgotten. 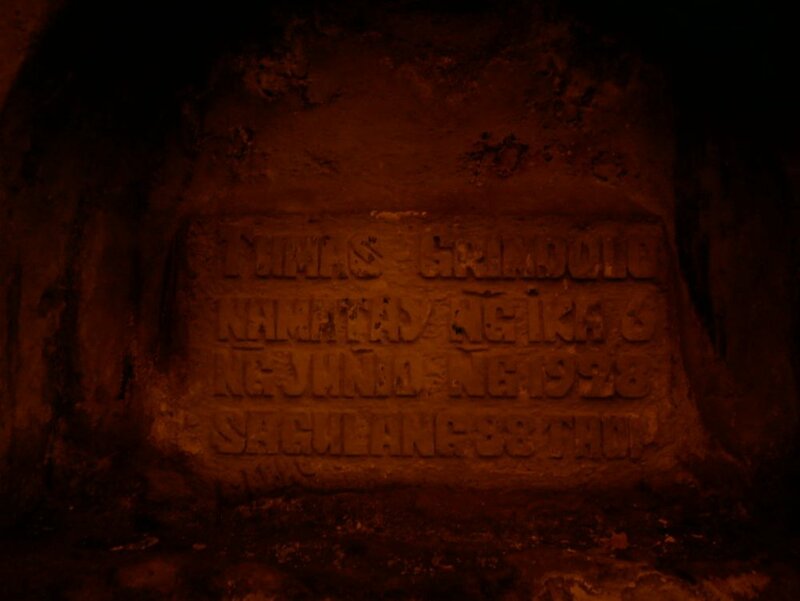 Here are some of the grave stones that has never seen the light of day. It was very hot outside, but down here I have noticed the sudden change of the temperature. I felt like there were spots that were very cold in the cavern. I enjoy stories of the supernatural, but I never really do believe in them. I always think that there is a logical explanation to everything. My wife felt uneasy and wanted to leave already. I felt the cold temperature and hairs on my arms were beginning to standing up. I guess it was time to go back up and sometimes there are things that you can never really explain. Spending a few minutes down there felt like time stood still. It was cold, quiet and you could even hear a whisper that could echo to the walls. A little bit of a hair raising experience, but quite fascinating. Back up here the light of the sun appears to be a welcoming sight. 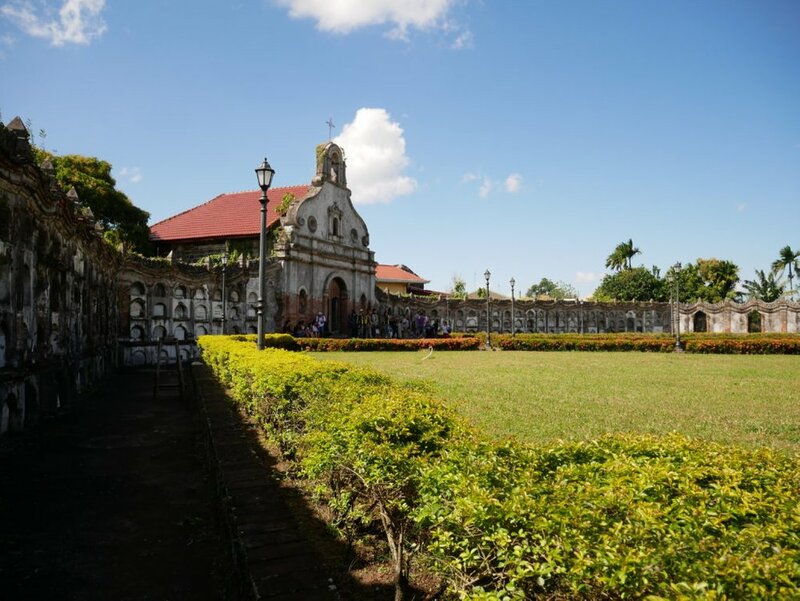 Since the place was declared as a National Historical Site burial is no longer allowed in the cemetery. 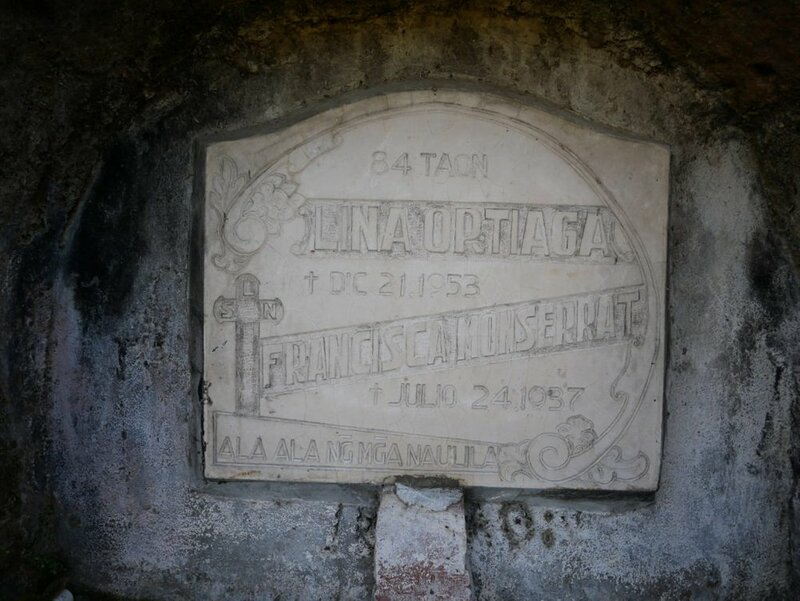 The oldest niche tomb dates back to 1886 and the last burial was done in 1982. 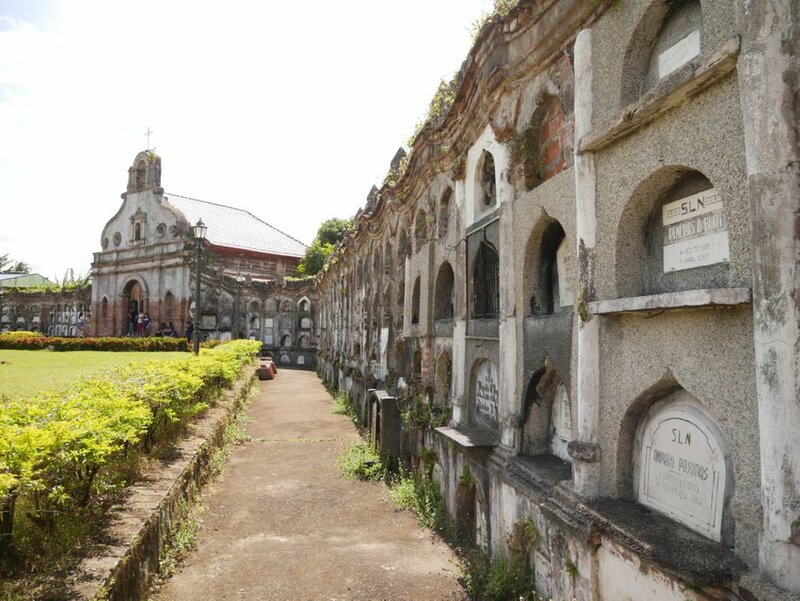 Let's go for a little walk to explore this side of the cemetery. 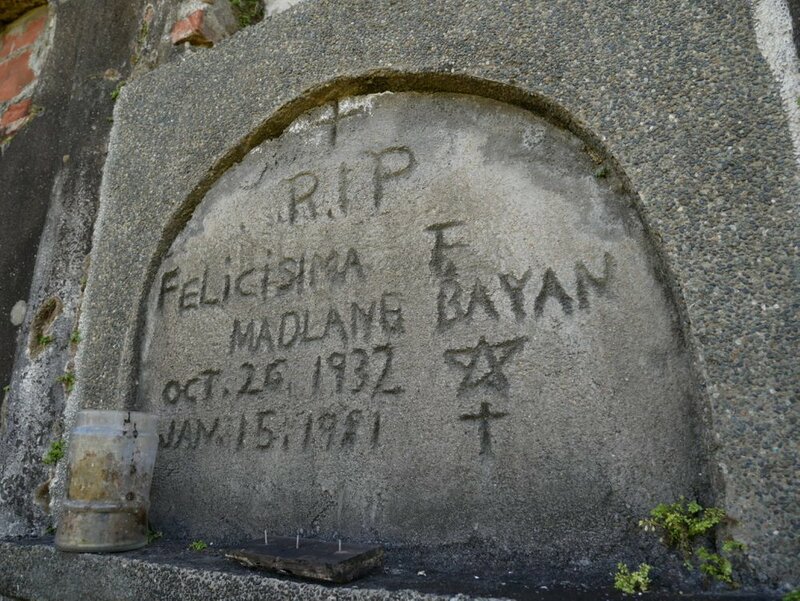 If they still allowed to continue burial here I guess the place would be over crowded. 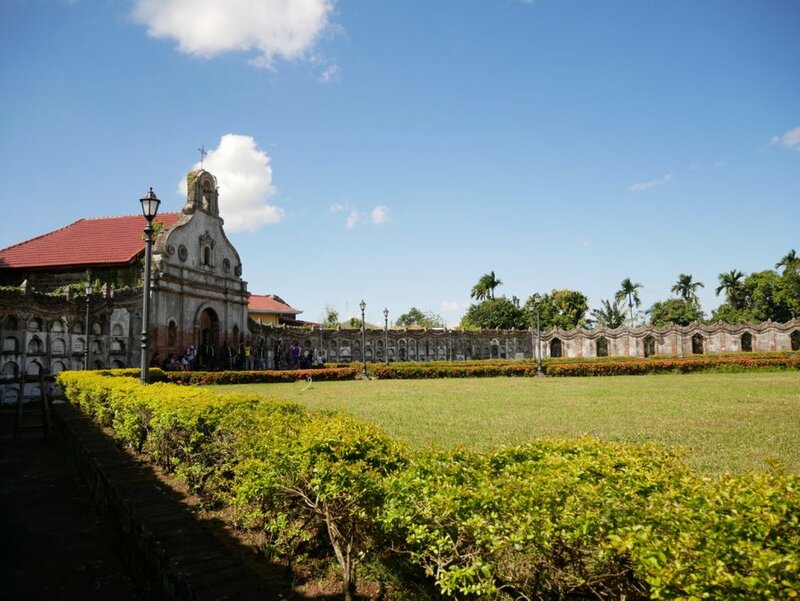 Since it is now a Historical Site the ones buried here will always have visitors everyday. 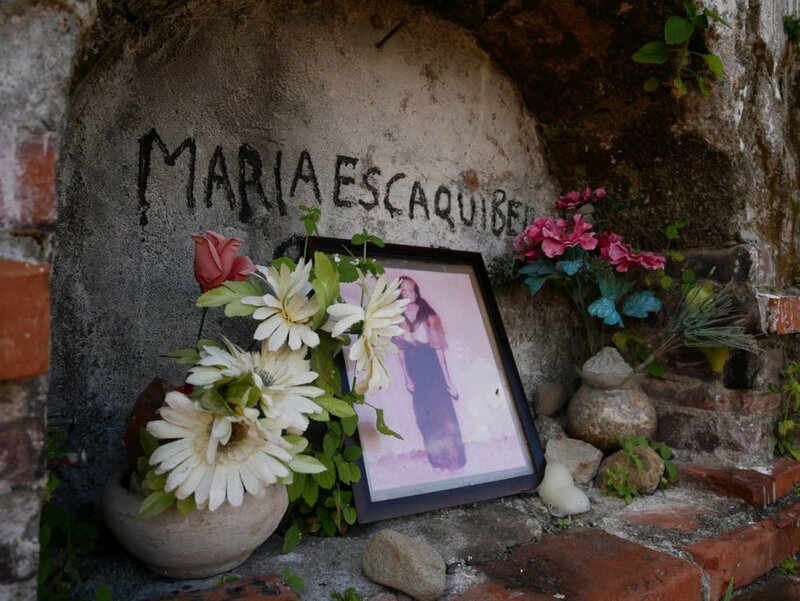 Those buried here will be forever a part of the rich history of the revolution of our country. 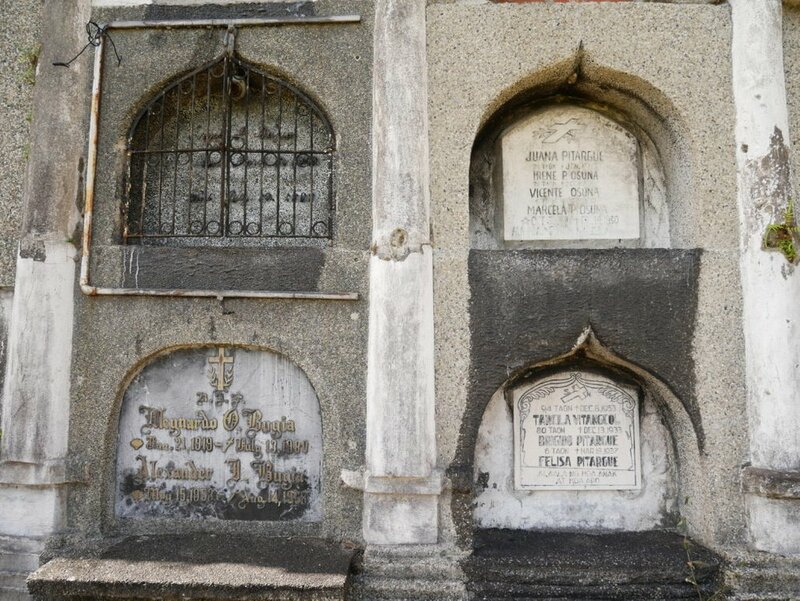 Here are more of the tombstones that caught my attention. Some are really old while other were just from decades away. 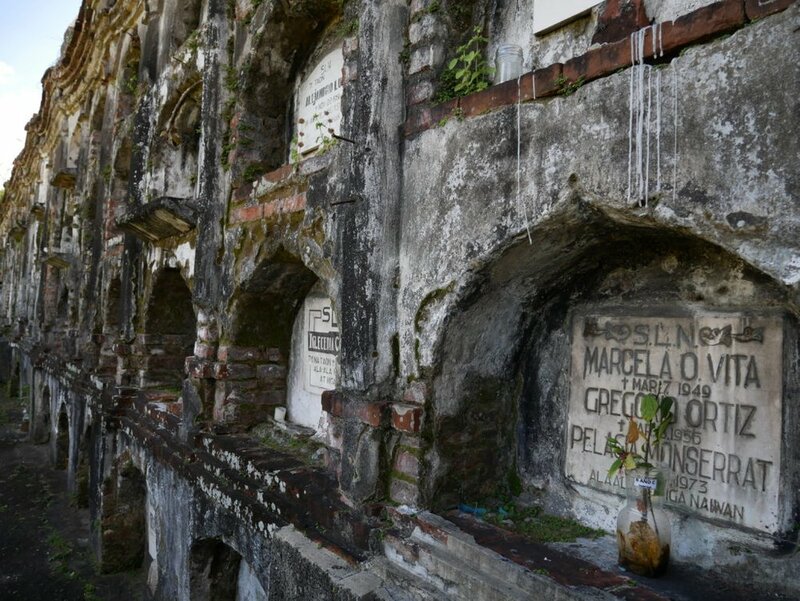 So far I could say that, this cemetery that I have visited is the most unique. 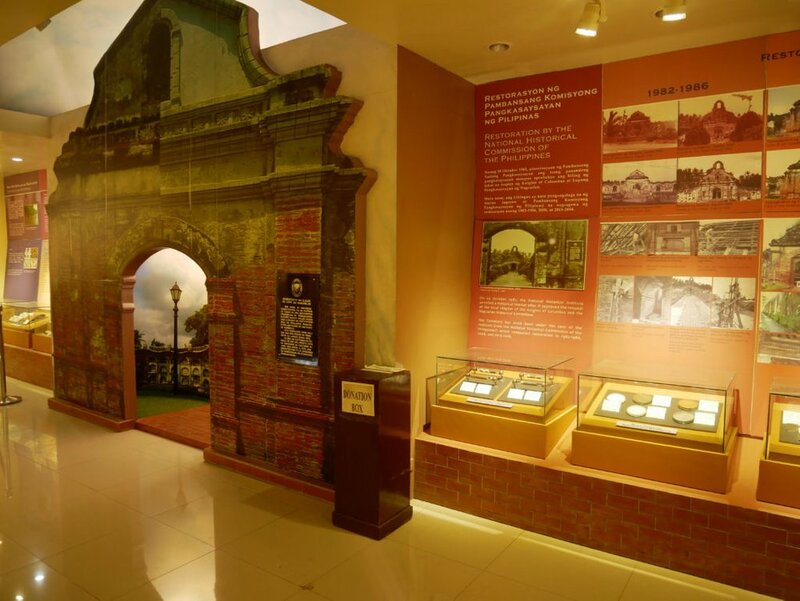 It had that historical value that played a small part in shaping our country. 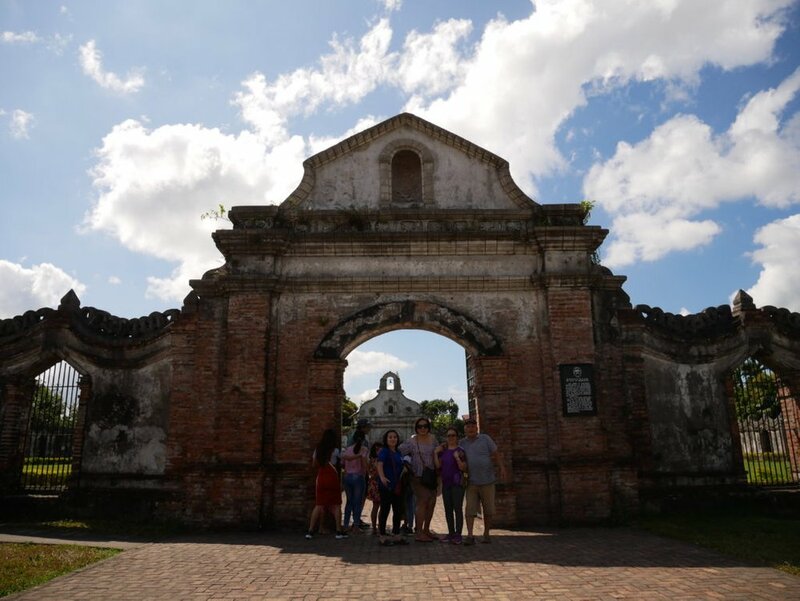 We left the gates of the cemetery and just when we thought the tour was over. The guard told us if we wanted to check out the small museum. I was surprised that they had a museum and immediately we went inside. 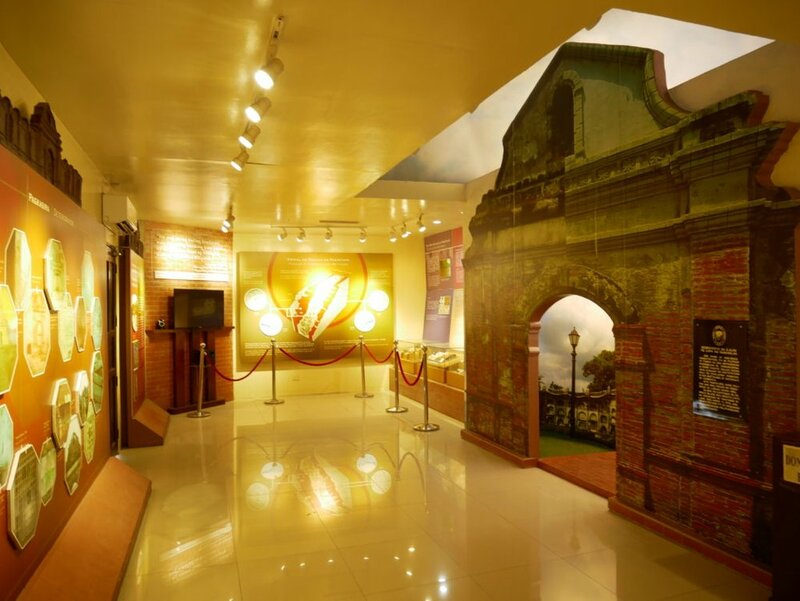 The room was air conditioned and they even had an educational video about the history of the cemetery. 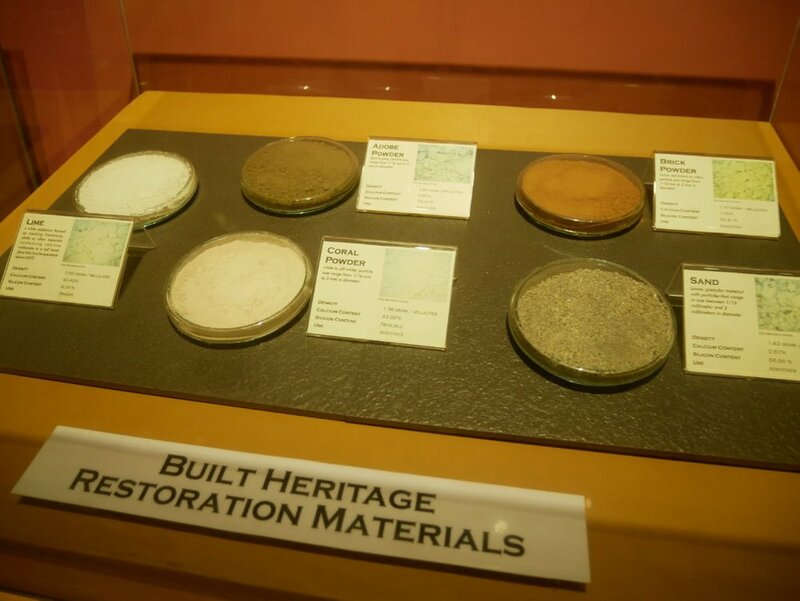 Here on display are the materials that were used in the construction and restoration of the place. 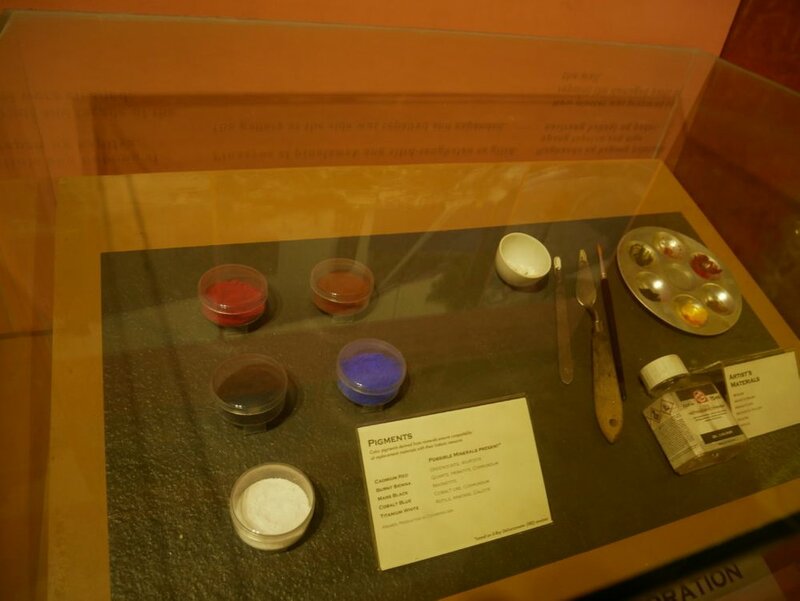 Samples of the natural pigments used as paint. One of the artifacts that were found on the site which is written in Spanish. 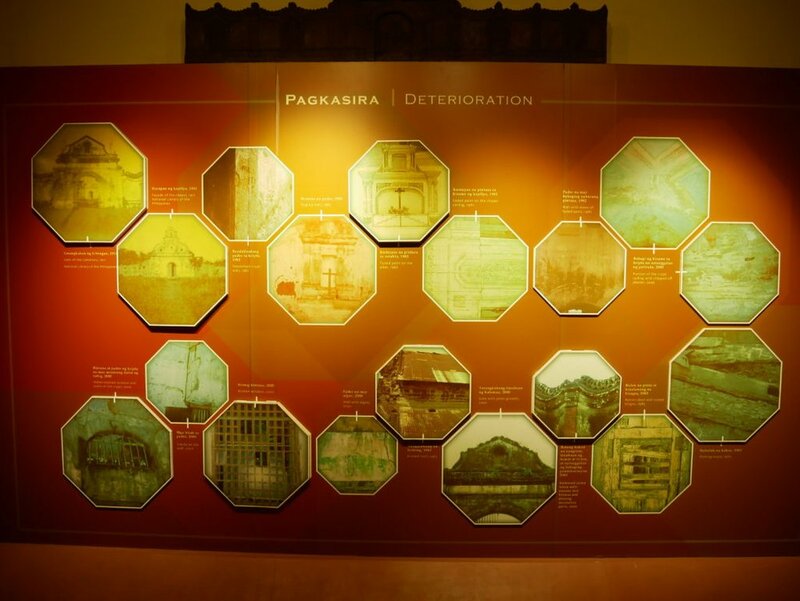 Illustrations are on display to show the deterioration in parts of the cemetery. 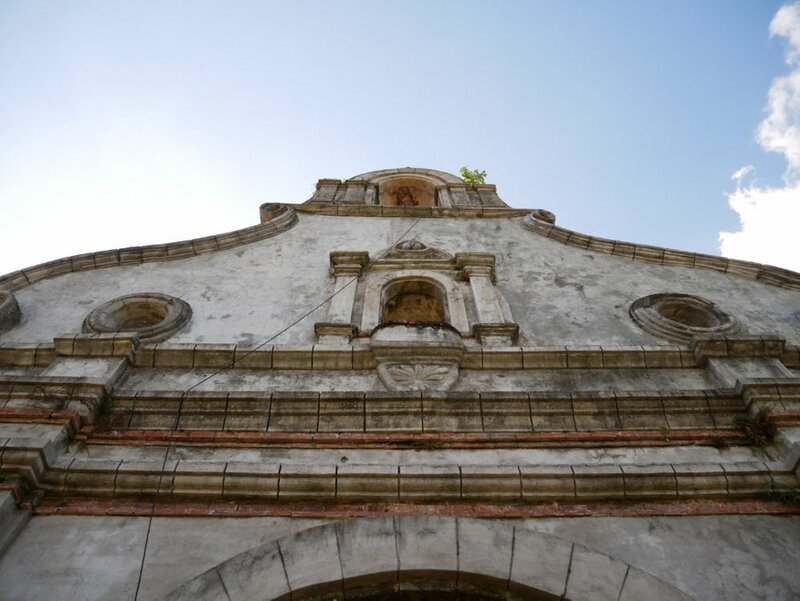 This includes the gates, walls that were vandalized, holes on the walls, algae and damages on the roof. 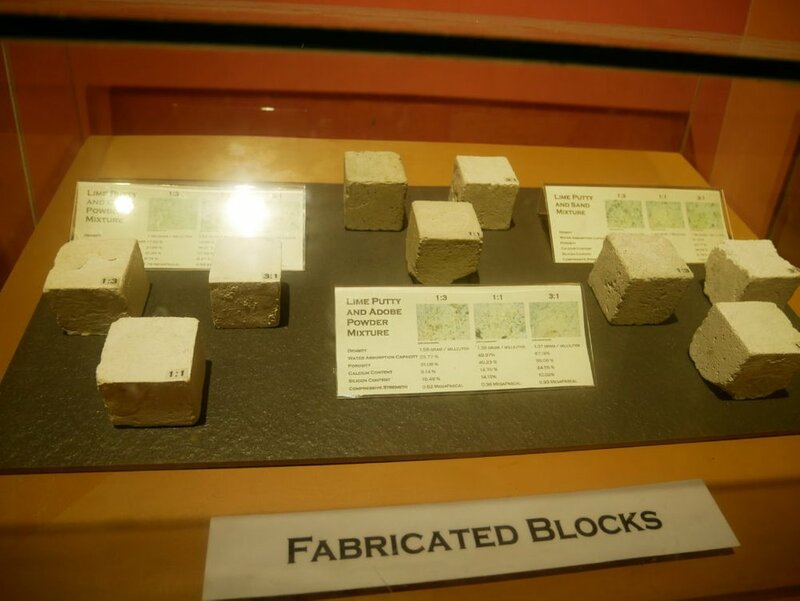 This section show where the materials used in the construction were acquired. The stones used were taken from a nearby town and wood brought from the nearby forest. 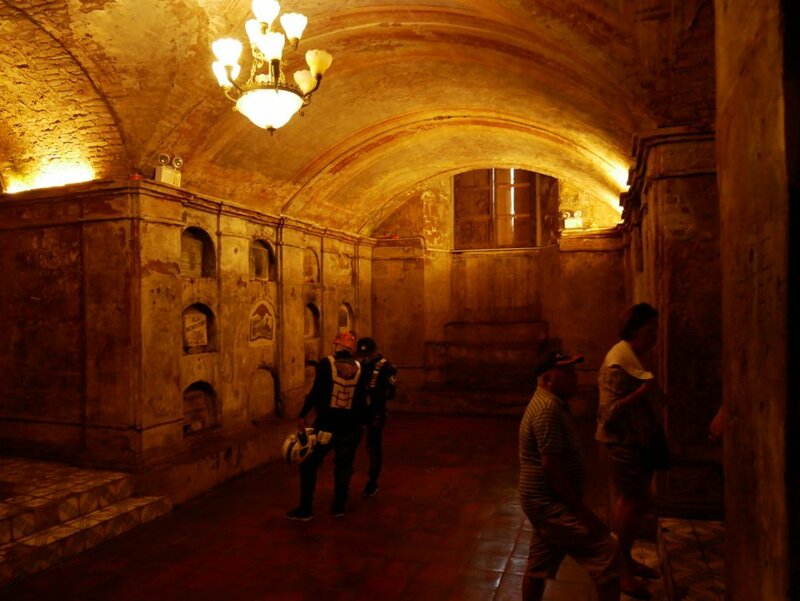 The floor tiles were said to be imported from Spain, Mexico or China. 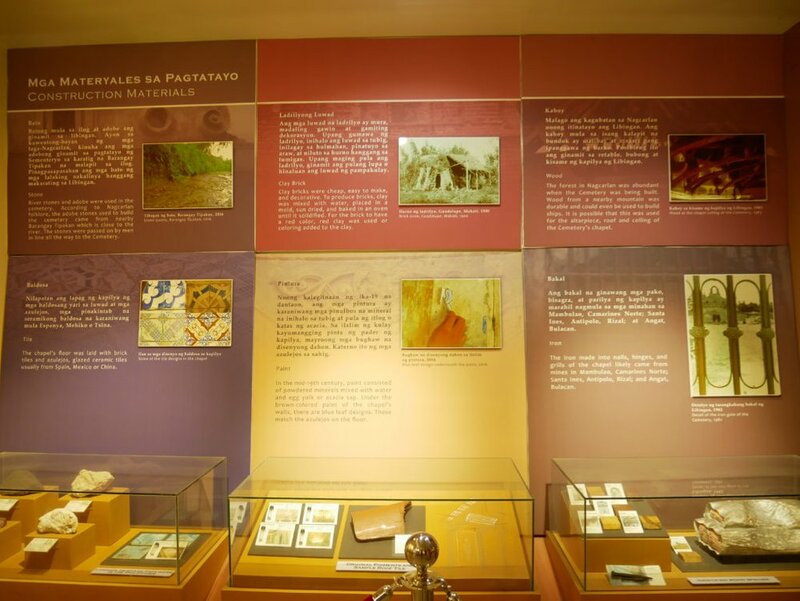 Even the paint used were made from natural materials which includes egg yolk, tree sap and minerals. The metal for the gates, nails and hinges came from different parts of the country. 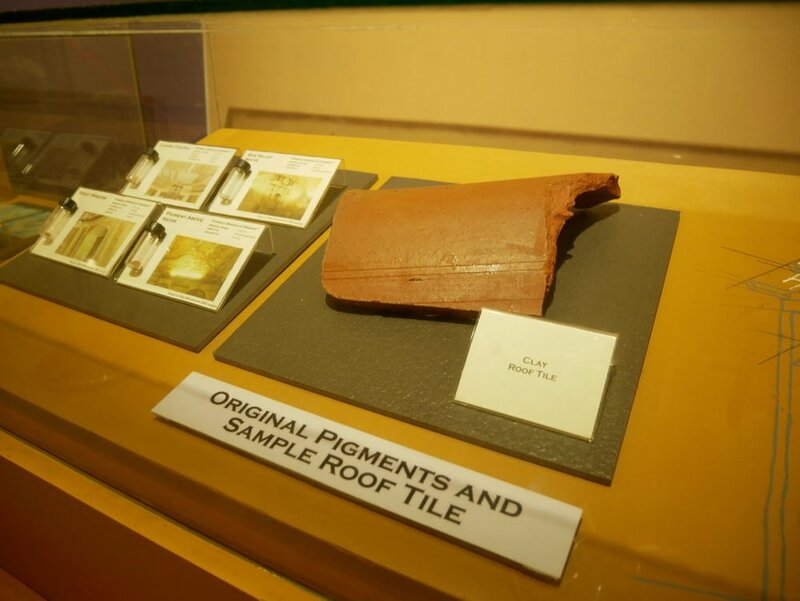 A piece of the original roofing material. 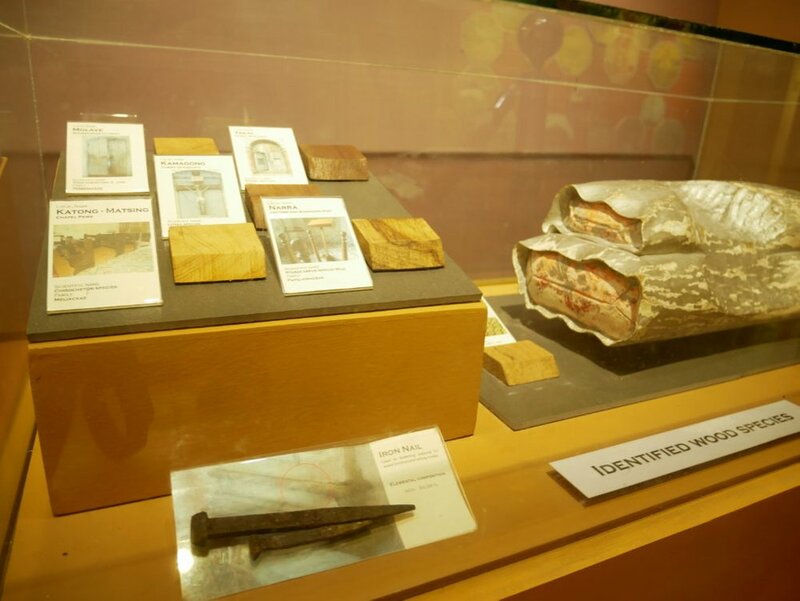 Samples of the types of wood used and an original iron nail to bind the wood together. 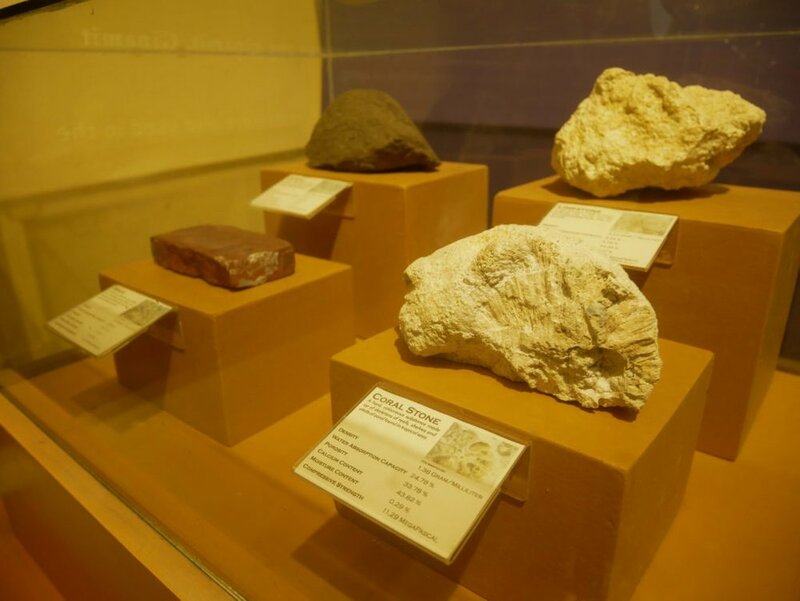 Other types of stones used in the construction which also includes coral stones. Leaving the museum gave us more insight about the place and I think they really did a very good job. I am also amazed how they kept the place very clean and well maintained. 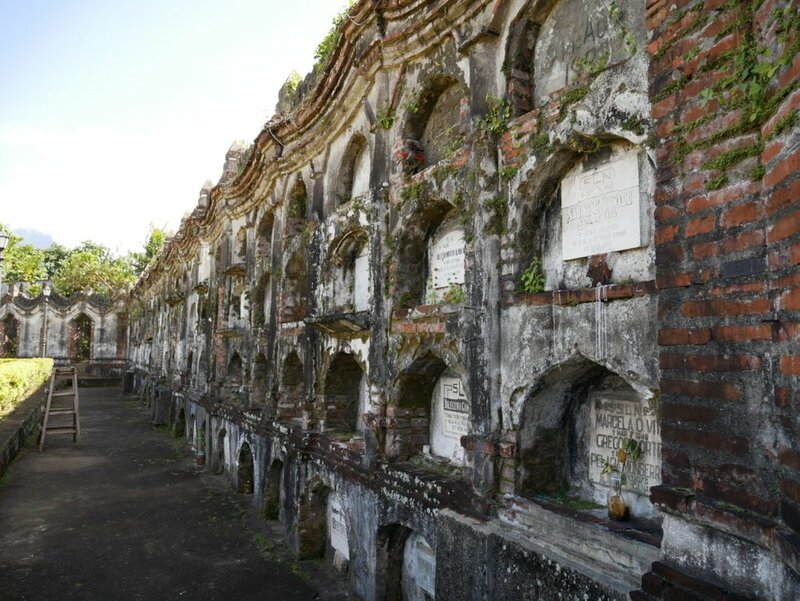 This cemetery is a definite must visit if ever you drop by Nagcarlan Laguna, Philippines. This concludes our tour for today and thank you again for spending a little time with me on this walk. 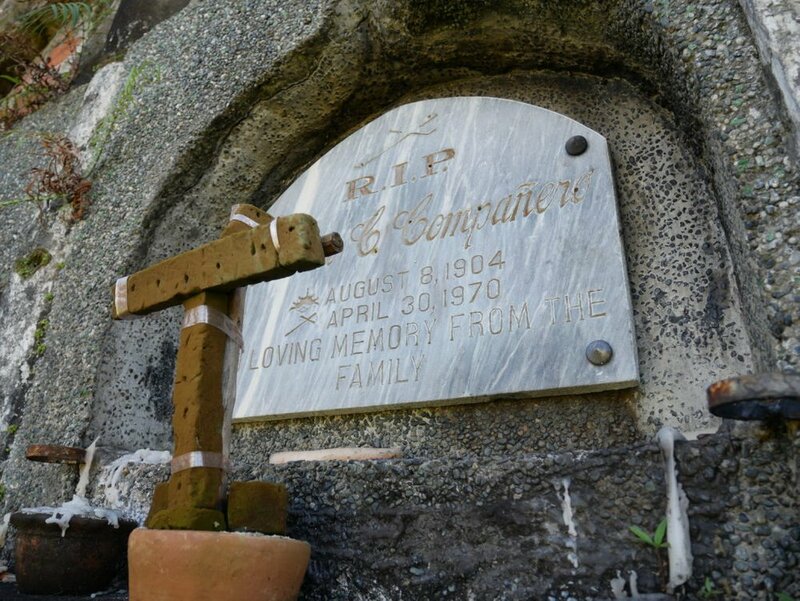 Do leave some comments and share about your experience in cemeteries in your area. Did you see any similarities and are some of them spooky? I would love to hear from you. Until then I hope you all have a great Sunday. Visit and follow @steemitbloggers AKA #powerhousecreatives. A community that is exceptional, talented and engaging.